Plants producing liquefied carbon dioxide. Dairy plants and other extracts. The Metals Division in the United Company has a long and vast experience in designing, manufacturing, providing and assembling carbon steel, galvanized steel, stainless steel and other cast metals equipment to fulfill the needs of Oil Refineries, Chemicals, Petrochemical and Food Factories. Most of the equipments designed by our company, such as boilers and generators have usage in power industries. F&W Group / The Red Sea Petrochmical﻿ administrates a highly professional engineering division for the Oil Industry. It is providing fully designed, fabricated and tested equipment, such as pressure vessels, towers, tanks and heat exchangers for establishments and private sectors through the office and many fabrication workshops in Baghdad.The United Company is also running complete turn-key projects for Petroleum Plants such as Desalination & Dehydration for Crude Oil at the Extraction Fields as well as Gas Separation Stations. Industrialized dates and other extracts. 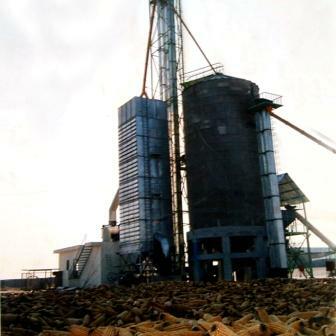 United Company grain dryers find wide range of application in the Food and Seed Grain Industries as well as for Oil Seeds, in which the grains are protected effectively and most economically dried. Tooth paste and shaving cream producing lines. Safety in F&W Group / Red Sea Petrochmical﻿ has a major role; complying with the highest International Safety Measurement Standards in our products as well as in our workshops production sites is always a main concern among our administration. F&W Group / Red Sea Petrochmical﻿ other contribution to Safety is through the CO2 production line. Most of the produced CO2 is mainly used in fire extinguishers manufacturing. In addition to our vast industrial engineering capabilities indicated in the various previous sections of this leaflet, F&W Group / Red Sea Petrochmical﻿ has the technical staff, equipment and capability for carrying out designs, construction and rehabilitation of Water Supply and Sewerage facilities on a turn-key basis involving Water / Sewage pipelines & networks, Sewage Pump Stations, Water Compact Units, Water / Sewage Treatment Plants, dealing with all the engineering aspects (i.e. Civil, Electrical & Mechanical). Red Sea Petrochemical Industries Ltd.
Red Sea Petrochemical Industries (Red Sea.) is a professional company capable of carrying research, fabrication, installing and commissioning projects for various petroleum and chemical industries in accordance with ASME and other International Codes and Standards to best meet the clients' needs. Oil refineries having capacities up to 30,000 barrels/day. Pure Ethanol production plants from dates. Plants for manufacturing liquefied Chlorine gas cylinders used in water treatment plants. Spray & variety of Dryers. Preliminary reports and feasibility studies of projects. Mechanical, Electrical & Civil Engineering Designs. Pipes network & appurtenant structures design drawings. Crude direct / industrial heaters.